FableFire is best known for her cute shirt designs on Shirt.Woot, often depicting adorable animals, though not always doing such adorable things. You may have seen her homicidal foxes and meat-eating rabbits adorning shirts at conventions or even own a few yourself. Growing up on a steady diet of Disney, Looney Tunes, Ninja Turtles, and children’s book illustrators like James Marshall, Fable has been drawing adorable animals and anthros for a long time. It was only in 2009 though, that she discovered the furry fandom when a fan suggested that she should check out FurAffinity. As a full time artist, there is very little free time. However, on those rare days off, Fable likes to read, watch Netflix and Crunchyroll, play video games, write music, or just chill out with a good bottle of scotch. I have been an illustrator since I could pick up a crayon. I have always drawn and been drawn to anthropomorphic art and characters. My first love being Cheetara from the Thundercats in the 80s. 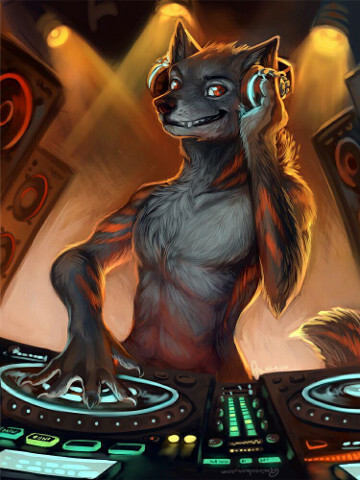 However, I did not learn what "furries were until after high school (keep in my I'm a bit older and in high school for me is when the internet was just emerging..AOL!). After high school I attended and after taught for a small school of art focusing on traditional animation. It was there I met Michael Vega AKA MuiPix of Club Stripes fame. He taught me what furries were and it was then I learned that I wasn't alone in my love. Since then I have not stopping drawing my characters. Now I am a professional shoe designer by trade as well as a freelance illustrator/graphic artist. I have a passion for furry art and tend to lean more towards a comic bookish style. Apparently I'm a bit known for my adult furry art as well. I currently live with my mate Puppet and two cats Guenhwyvar and Lord Floofykins. I have three amazing teenagers who are my world and I love to meet new people and I love teaching art as well when I can. If you catch me and have a sketch book I'll probably draw something for you. 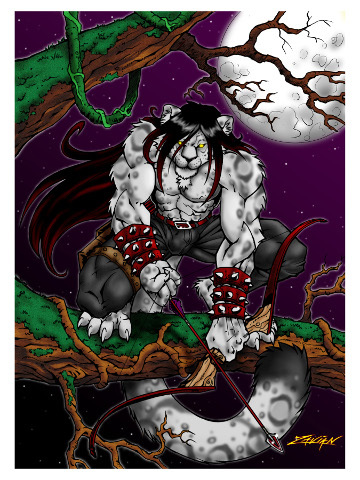 Diana Vick has been creating furry art since the 80's, contributing to Rowrbrazzle and Gallery. She was the art director at MU Press, where she helped create Beauty of the Beasts and many other titles. She was the guest of honor at the first furry con in the Northwest, Conifur. Her non-furry credits include work in animation, comic books and illustration for many different collectible card games such as Magic the Gathering and Legend of the Five Rings. 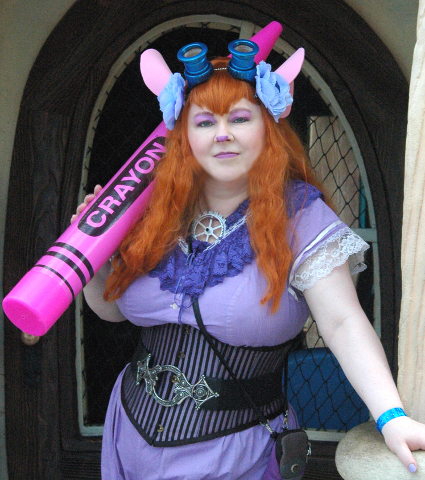 Her love of steampunk led to her award winning costuming, prop making, and even running a convention called Steamcon. She has even designed pins for the Hard Rock Café in Seattle. She is still active in steampunk education and art and is working on several projects including writing short stories and creating a line of coloring books. She recently went to Mickey’s Not So Scary Halloween Party in Disneyland as a steampunk version of Gadget from Rescue Rangers. Originally learning to DJ for a college radio station in 2011, K3rb3ros has been improving his skills and sharing his take on how to get down ever since then. He has played at conventions, bars, house parties and college shows ever since then. His style has just the right balance of hard hitting bangers, nostalgic callbacks and melodic masterpieces to keep any dance floor shaking all night long.